As a wedding photographer I create images that are not only beautiful works of art but tell the story of your wedding day. My work captures all the emotions of your wedding day, the tears, the laughter, and so many other memories that would otherwise just slipped away with the moment. Years later the images have the ability of bringing back a flood of memories and emotions. Photography captures your wedding memories in a physical sense. Though your photos start out as digital images which you can share on all your devices the magic really begins when you make the transition from your device to your walls and coffee table. Each time you see your wedding photos on your wall or flip through your album with friends and family you relive all those beautiful feelings and memories. Capturing wedding moments with video is another dimension of preserving memories. Watching your wedding video takes you back with the sights and sounds of your wedding day. Imagine years from now hearing the voices of you and your loved ones again! I hear from couples that their wedding day goes by so fast that they appreciate a way to capture guests of honor and testimonials from friends who shared in their day. Seeing the tears from your spouse during the ceremony and recalling how you felt during your first dances is a great way to relive memories on your anniversary. Wedding films record the story that built your love and all the details that came together to make your day special. The magic of the venue, the laughter and smiles of family and friends, and the unrepeatable moments of bliss are all things worth investing in for a lifetime. 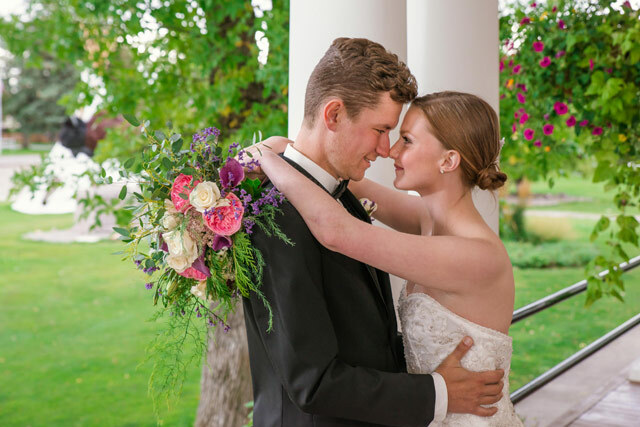 Just like photography, you are free to share your wedding highlight film with loved ones, and revel in the joy of seeing others who will never forget their experiences together. Your wedding is a once in a lifetime event and though the flowers will die, your memories need never fade away. Videography and photography are a priceless investment in your beautiful memories.